Conditions can differ greatly from country to country, and dry toilet projects should never be carried out without a strong participation by the local people. The best results for sanitation are achieved when working together with the users. Local conditions, cultural issues, building materials available etc. are the things to be considered when choosing the optimal technical solution. What type of toilets are the local people ready to use? 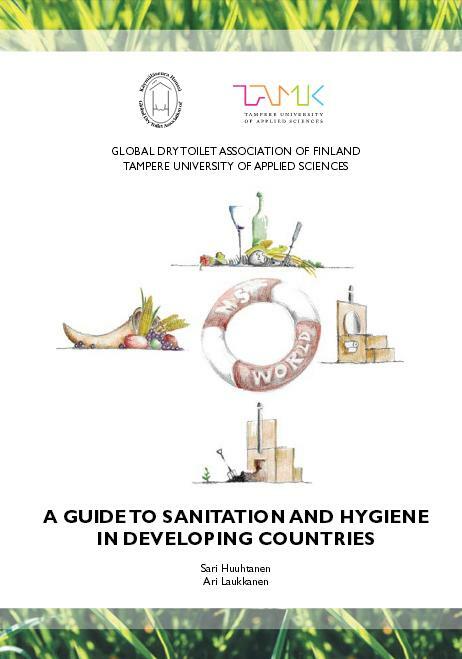 Is sanitation a culturally sensitive topic in the area? What kind of cultural and/or religious habits and traditions people have have concerning sanitation? Are people typically using toilet paper to wipe or water to wash? How big space there is to build the toilet or can toilet be built inside the house? Local environmental conditions like amount of rains, temperature, soil type, level of groundwater, flooding etc. What local materials can be used for the construction? Should the toilet be sitting or squatting toilet? Who will be in charge of maintenance of the toilet? Where and how can the separated urine and/or composted toilet waste be utilized? What kind of sensitization and education people already have had if any? What is the best way to reach people? What kind of means people have to take care of the hygiene (e.g. handwashing, personal hygiene etc.)? These questions are best addressed with through baseline study before the start of the project itself. This will ensure that the toilets will actually be used, cleaned and maintained (i.e. emptied) properly and the ownership of the project is within the beneficiaries. If you want to print out these manuals and/or posters, please ask us the printing resolution versions. Manuals and posters can be quoted and copied for non-profit use, so long as proper acknowledgement of the source is made when used. We have been working for example in Zambia, Tanzania and Swaziland for several years already, and we have gained plenty of experiences of dry sanitation. We have also been working in Russian Karelia and some other countries like Estonia, Latvia and Lithuania, as well as in Finland. You can find more information through On-going projects and Past projects. regarding e.g. different dry toilet models and solutions, as well as many pictures and experiences from our projects. We organize training and give lectures on arranging sanitation and hygiene education in developing countries. Read more here and ask for an offer!